Are you planning the details of your next unique event? You're probably considering what type of flowers you will feature on the guests tables, the number of linens you will need, and even if they should be satin or pintuck? These are all details that you should be addressing, but here is a question to ponder. Have you considered the design of every aspect of the event space? The guests entrance? The DJ booth? The buffet, dessert, and beverage stations? All of these areas, and more, are part of the event that should not be left out when planning. It is important to consider every aspect of the event so that the design is unified throughout the entire space and presents a completed look. We would like to highlight this tip through a recent event that we designed. The event design was created around a backyard garden theme. You'll notice that all of the elements of the design were implemented throughout the entire space, from the guests tables to the buffet stations! An abundance of greenery was planted onto the buffet tables, along with backyard jewels like an old antique wooden chair, tin water pails, and other homely decor, complementing the event design. Check out this shabby chic event hosted at Lake Lanier Islands that transformed guests to a heavenly backyard garden. 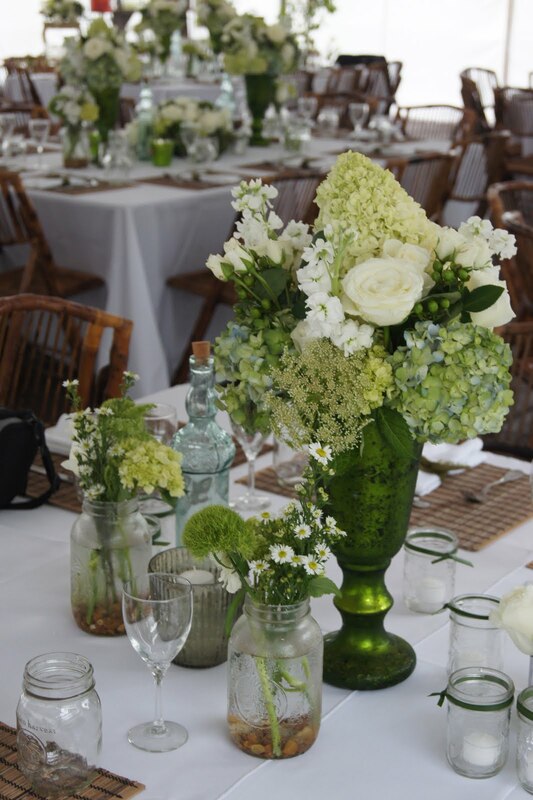 Lush, rustic greenery and florals featuring daisies, hydrangeas, Bells of Ireland, stephanotises, and fresh herbs, fruits, and veggies filled wooden baskets and vases on the buffet stations. The overturned vase of daisies added a genuine touch to the design. Burning lanterns, melted down candles, and a worn wooden chair enriched the backyard garden event theme. This buffet station was designed with florals and greenery that were placed in vintage wine bottles and rugged oval stone vases. All the florals were arranged as if they were picked straight from the garden. The beverage station also incorporated complementing elements, ensuring unity with the other decor throughout the space. 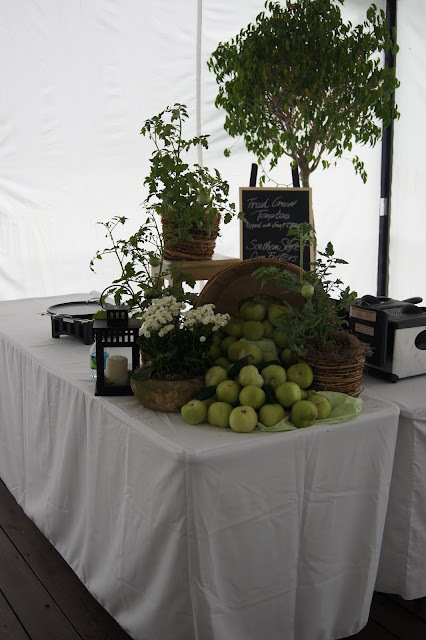 Fresh fruits and veggies were manipulated as event decor in the design. The fun dessert station was designed using old-fashioned tin water pails, wooden boxes, wheat grass, and moss. 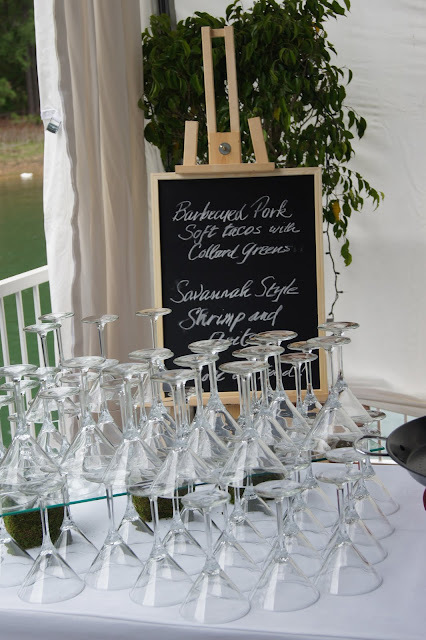 So remember, when planning your next event, don't forget about the buffet tables! wow, this is amazing and sooooo beautifully innovative!